Prayer | Shall we Sing a Song for you? If Vaughan Roberts has taken Graeme Goldsworthy’s insights into the Bible’s structure and simplified them for a wider audience, William Philip has here done the same with (the first half of) Goldsworthy’s book Prayer and the knowledge of God. The Tron’s minister writes as a pastor and aims to give the reader a book which is both encouraging and realistic. In reaction to more disheartening books on prayer he comments ‘I find I’m doing very well indeed if I can manage to pry myself out of bed at all before breakfast, never mind have hours of prayer’. 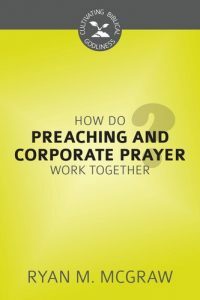 And so the four chapters of this short book are simply reasons why we pray, because a better understanding of what we’re doing when we pray will help us pray more. He begins with a chapter entitled ‘We pray because God is a speaking God’, and this was the one I found most helpful. You can’t speak to someone without creating a relationship and so by speaking to us God initiates the restoration of a relationship that has broken down. We are relational beings because we were made in the image of God. So the reason that solitary confinement is a punishment is because it strikes at a key part of who we are. We were made for a relationship with God – so not to talk to him is to try to deny part of who we were created to be. The Lord’s comment to Ananias about the newly converted Paul, ‘behold he is praying’, is remarkable because despite having prayed every day of his life, Paul had never truly prayed before. 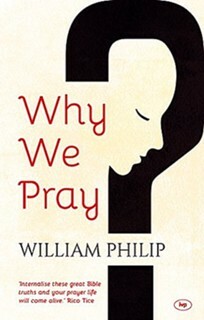 Chapter 2, ‘We pray because we’re sons of God’, is especially heart-warming. Jesus was the only true human being who ever lived, and therefore the only true pray-er – so we can only hope to pray because of and through him. To think our sin means we can’t pray is to insult Christ by saying he hasn’t done enough. Because we are God’s children, we don’t have to lobby for an audience with him the way those outside the President’s family have to lobby to be able to speak to him. Thinking we’ll be heard because of the length of our prayers is paganism not piety. The penultimate chapter is an attempt to both answer the question, ‘If God is sovereign, why pray?’ and use the answer to encourage us to pray more. The tone here was a bit more defensive, but it’s worth it for the illustration he uses to show that just because our will isn’t totally free, it doesn’t mean we’re not responsible. A drunk driver doesn’t have free will. He’s not free to drive with all his faculties – but he does nevertheless bear full responsibility for his actions. The final chapter, ‘We pray because we have the Spirit of God’ is a helpful corrective to many current misunderstandings of prayer. Yes we are given wonderful, unqualified promises about asking God things in Jesus’ name, but we misunderstand them if we forget that ‘the gospel is all about God’s aligning us with his sovereign purposes, not our aligning God with our selfish purposes through prayer’. Turning ‘praying in the Spirit’ into something mystical would be ‘nonsense’ in the eyes of the Apostle Paul; it simply means praying in line with God’s revealed will in the Scriptures. (Which by the way means we should be praying a lot more about the things he specifically tells us are his will – eg that we be holy, joyful and thankful). Furthermore, we’re to pray acknowledging that certain things might not be God’s will. To ignore this or attempt to ‘claim faith’ is self-deception and even idolatry. ‘It is Jesus himself who says that often the more fervent the prayer, the more pagan it is’. 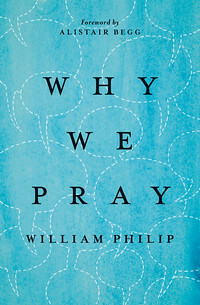 No book on prayer can be the silver bullet we long for at times, but for a short, encouraging read, this is well worth picking up. “And when you pray, do not heap up empty phrases as the Gentiles do, for they think that they will be heard for their many words” – Jesus in Matthew 6:7.